For the seventh year in a row, SoCalCycling.com has put together a slide show of SoCal’s Cycling Clubs and Teams new jerseys for 2017. This is a fun way to let Teams show off their new jersey design, represent their sponsors and check out all of the new jerseys. 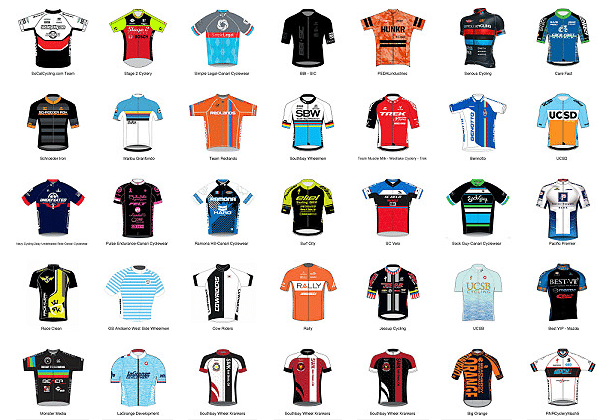 Thanks to everyone that has sent their team and club jerseys in to be included in SoCalCycling.com’s 2017 Collection of Cycling Jerseys. Please feel free to share the Collection of Cycling Jerseys with your Sponsors, Teammates and Club Members!